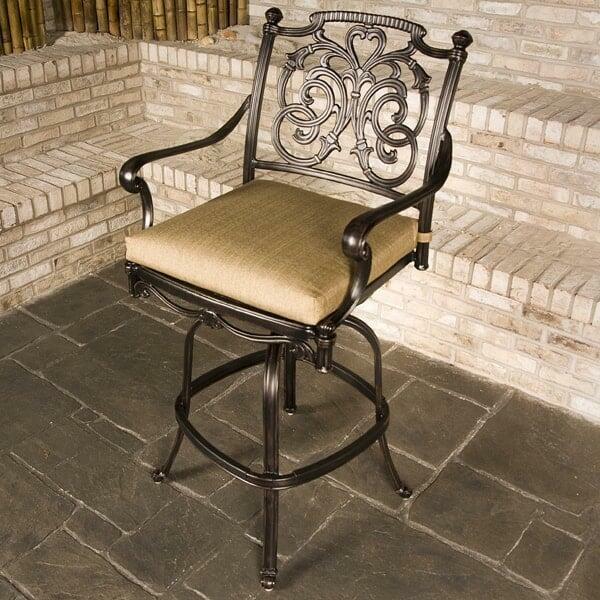 Top Selling Hanamint Bar Stool. Great for use as a stand alone item, at a bar, or an with an outdoor kitchen. For bar height dining, the matching Chateau table is available for seating for four or six in both round and oval tables. Can be used with our without cushion. 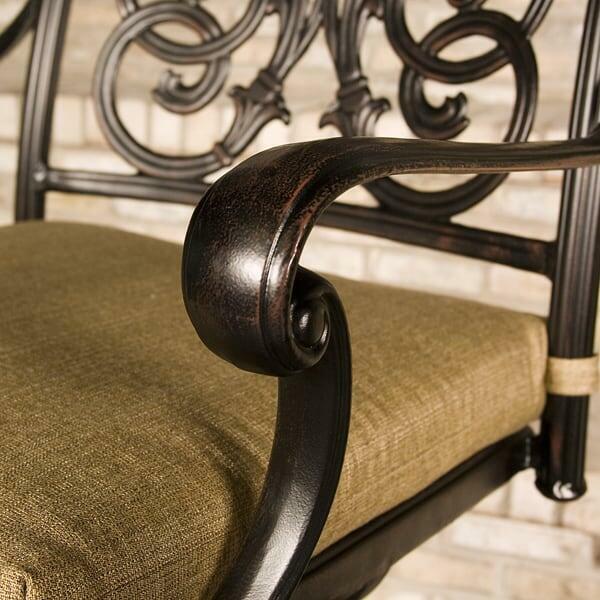 This collection uses prime grade cast aluminum that is engineered to last the ages. The intricately carved chairs give the patio stool a look of elegance and class while the cushions offer superb relaxation and comfort. 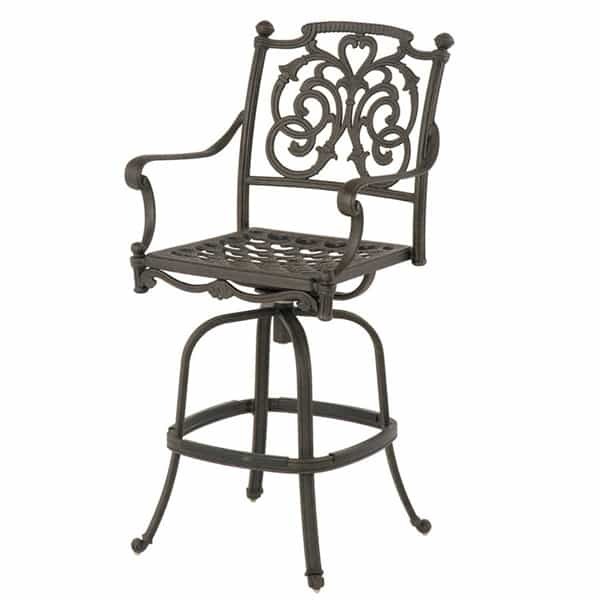 Perfect for outdoor or indoor use, this versatile patio stool has it all. If style, comfort, quality and value are important to you, then Hanamint is your match for the perfect cast aluminum patio furniture set.